PROMOTION/ENTRY PERIOD: The American Sale Gift Card Giveaway (the "Giveaway") begins at 12:01 a.m. Central Standard Time ("CST") on January 1st of every calendar year and ends 11:59 p.m. CST on December 31st of every calendar year (the "Promotion Period"). The Giveaway has four entry periods. Entry period 1 begins at 12:01 a.m. CST on January 1st and ends 11:59 p.m. CST on March 31st. Entry period 2 begins at 12:01 a.m. CST on April 1st and ends 11:59 p.m. CST on June 30th. Entry period 3 begins at 12:01 a.m. CST on July 1st and ends 11:59 p.m. CST on September 30th. Entry period 4 begins at 12:01 a.m. CST on October 1st and ends 11:59 p.m. CST on December 31st. All periods are applicable for the current calendar year. ELIGIBILITY: Open to legal residents of the 50 United States and the District of Columbia, and Puerto Rico who are 18 years or older. Employees of American Sale Corporation ("Sponsor") and their respective parents, affiliates and subsidiaries, and advertising and promotion or third-party agencies, including BirdEye, Inc. (collectively with Sponsor) and the immediate family (spouse, parent, child, sibling and their respective spouses, regardless of where they reside) and household members of each, whether or not related, are not eligible to enter or win. Void in non-US territories or countries and where prohibited by law. All federal, state, provincial and local laws and regulations apply. HOW TO ENTER: Upon accurate completion and submission of an official American Sale survey (“Store and Sales Survey”, “Delivery Survey”, “Spa Service Survey”, “Service Order Survey”, “Pool Installation Survey”, "Internet Survey”, and/or “Receipt Link Survey”), the participant will receive one entry into the Giveaway. Participant may complete multiple surveys for each defined survey, but each survey submission will be entered as one entry. Multiple submitted entries for the same survey during defined entry period will be deemed as void. Proof of sending or submission will not be deemed to be proof of receipt by Sponsor. Any attempt by any participant to obtain more than the stated number of entries by using multiple email addresses, identities, profiles, registrations and logins, or any other methods will void that participant's entries and that participant may be disqualified. Use of any automated system to participate is prohibited and will result in disqualification. The "authorized account holder" of the email address is the individual who is the authorized holder of the email address associated with the account (based upon information submitted at the time the account was created). A potential winner may be requested to provide Sponsor with proof that he/she is the authorized account holder of the email address associated with that winning entry. If the authorized account holder of the email address cannot be established to the Sponsor’s satisfaction, that entry will be disqualified. Normal Internet access and usage charges imposed by your on-line service may apply. Mechanically reproduced entries submitted and entries by any means which subvert the entry process will be void. All entries become the property of Sponsor and will not be acknowledged or returned. All eligible entries must be received by 11:59 p.m. ET on the last day of each entry period (see section 1) to be eligible for that entry period’s random drawing and the subsequent entry period’s random drawing, if any. Limit one entry per person per survey per period regardless of method of entry. Multiple entries received for an individual survey by same person will result in all his/her entries being voided. All entries are eligible for the Grand Prize. RANDOM DRAWINGS: Four (4) Grand Prize winners will be selected in a random drawing from among all eligible entries received during applicable Entry Period. Drawings will be conducted by American Sale Marketing Dept. whose decisions are final on all matters relating to the Giveaway. Odds of winning a Grand Prize depend on the total number of eligible entries received by the end of each entry period. All prizes will be awarded and winners will be notified by mail/email. Limit one (1) prize per person/household. PRIZES AND APPROXIMATE RETAIL VALUES ("ARV"): Four (4) Grand Prize: An American Sale Gift Card, ARV: USD$100.00. To claim prizes, winners must sign and agree to the American Sale specific terms (see “Winner Notification” section). Prizes are awarded "as is" with no warranty or guarantee, either express or implied by Sponsor. For U.S. residents only, all applicable taxes are the responsibility of the individual winner. Prizes are nontransferable and must be accepted as awarded. No cash or other substitution may be made, except by Sponsor in the event that the prize cannot be awarded for any reason, in which case, Sponsor will award prize of equal or greater value. Winners are responsible for all applicable federal, state, provincial, municipal and local taxes and all other costs and expenses associated with prizes not specified herein as being awarded. WINNER NOTIFICATION: All prizes will be awarded and winners will be notified by phone number or email address associated with the eligible survey submission. Winners will be required (except where prohibited by law) to sign and return, an Affidavit of Eligibility, Release of Liability, Prize Acceptance Form and, if legally permissible, a Publicity Release within ten (10) days of notification or the prize will be forfeited and an alternate winner may be selected. Return of prize or prize notification as undeliverable may result in disqualification and alternate selection. GENERAL CONDITIONS: By entering the Giveaway, participant agrees to abide by and be bound by these Official Rules and the decisions of the Sponsor and judges, which are final and binding in all matters relating to the Giveaway, and release and hold harmless the Sponsor and their affiliates, directors, officers, employees and assigns from and against any liability, claims, lawsuits, judgments, losses, damages of any kind, injuries, death, property damage, costs and expenses, arising from, resulting from or in connection with the Giveaway, the participation in the Giveaway, or the receipt, possession, use or misuse of any prize. Sponsor and their affiliates are not responsible for lost, late, incomplete, inaccurate, stolen, delayed, misdirected, undelivered or illegible entries or for lost or stolen entry boxes or other errors or difficulties of any kind whether human, mechanical, electronic, typographical, printing or otherwise relating to or in connection with the Giveaway, including, without limitation, errors or difficulties which may occur in connection with the administration of the Giveaway, the processing of entries, the announcement of the prizes, or in any Giveaway-related materials. Sponsor and their affiliates are not responsible for technical, hardware, software or telephone malfunctions of any kind, lost or unavailable network connections, or failed, incorrect, incomplete, inaccurate, garbled or delayed electronic communications caused by the user or by any of the equipment or programming associated with or utilized in the Giveaway. Persons who tamper with or abuse any aspect of the Giveaway or who are in violation of these Official Rules, as solely determined by Sponsor, will be disqualified and all associated entries will be void. The Sponsor reserves the right, at its sole discretion, to cancel, terminate, modify or suspend the Giveaway if it is not capable of running as planned, including, but not limited to, tampering, unauthorized intervention, fraud, technical or phone line failures or any other problems beyond the control of the Sponsor, and select the winners for affected drawing(s) from among all eligible entries timely received for such affected drawing(s) prior to cancellation and all eligible entries timely submitted. WINNERS LIST: For the winners' names send a stamped, self-addressed envelope to: American Sale, C/O Marketing Dept. 8401 W. 185th Street, Tinley Park, IL 60487. 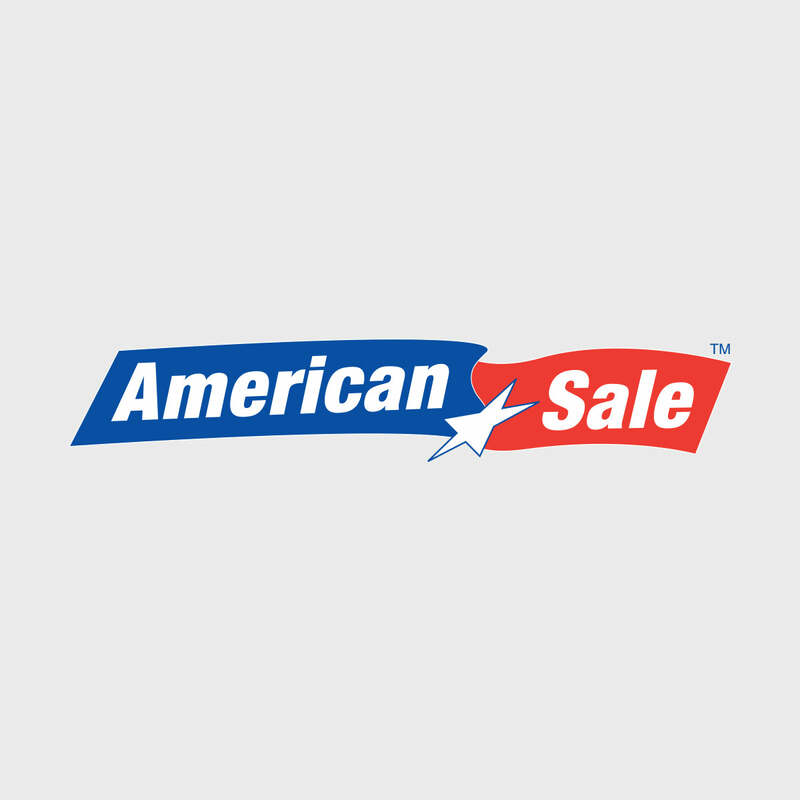 SPONSOR/FACILITATOR: American Sale, 8401 W. 185th Street, Tinley Park, IL 60487. The Facilitator of the Giveaway is BirdEye, Inc., 440 N Wolfe Road, Sunnyvale, CA 94085.